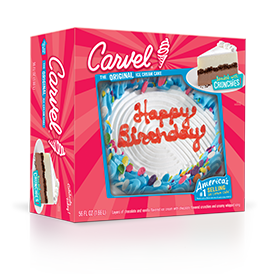 We combined two of the best desserts to create the ultimate ice cream cookie cake. 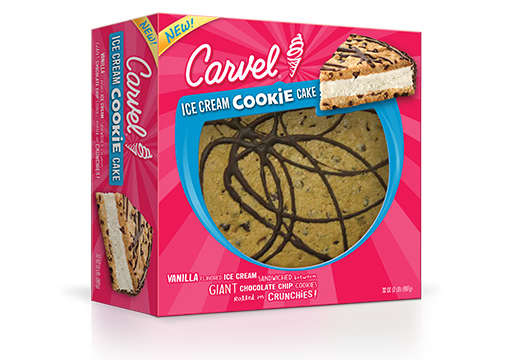 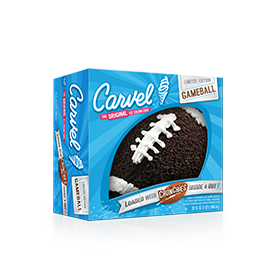 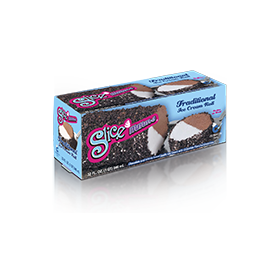 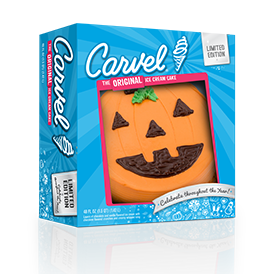 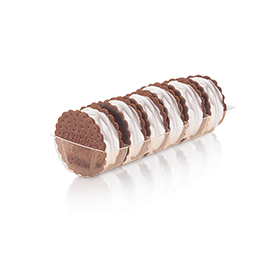 Vanilla ice cream sandwiched between two giant chocolate chip cookies then rolled in our famous Carvel crunchies. 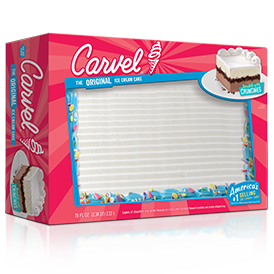 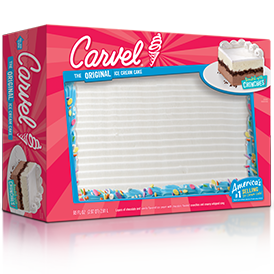 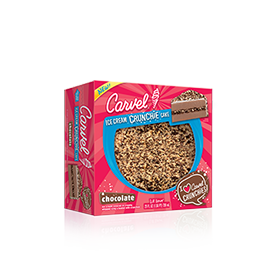 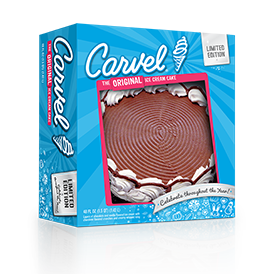 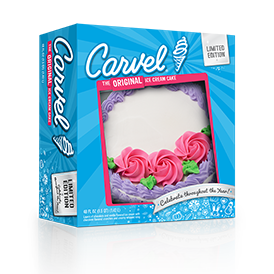 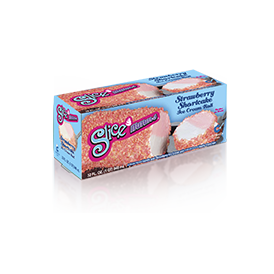 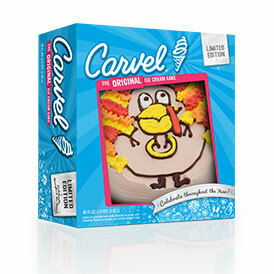 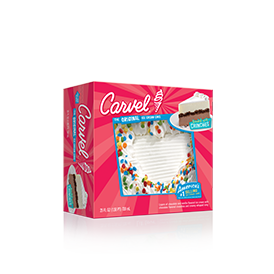 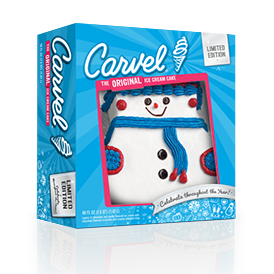 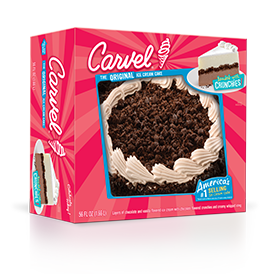 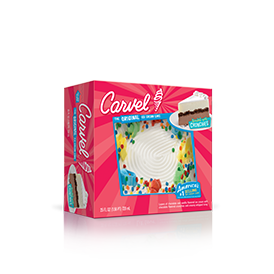 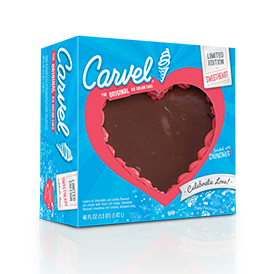 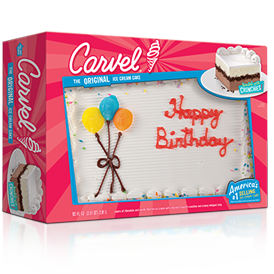 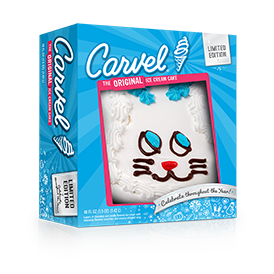 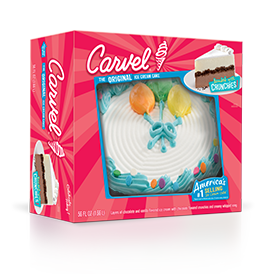 It’s the perfect birthday cake, graduation cake, baby shower cake, or girls night dessert! Bonus: this cake can easily be easily personalized!